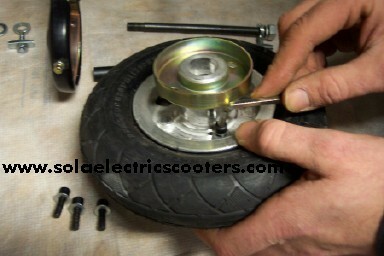 Electric scooters motorized bicycles .com is a wholesaler and reseller of of high quality electric bicycles and electric mobility scooters. 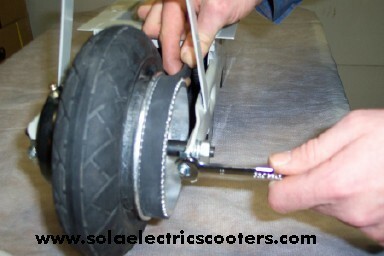 Every single Sola Scooter Product we ship carries the best warranty in the industry. If only replacing belt skip to step ?????????? 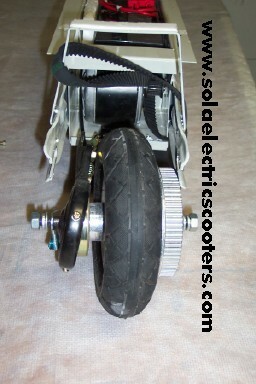 4) Gently pull rear tire and brake assembly off. Be careful not to Damage the brake cable. 5) Keep track of all the hardware. Note: the longer bushing is on the sprocket side. 6) Take the 4 Allen screws out of the center of the rim and separate the 2 rim halves. Be careful not to loose the inside bushing. 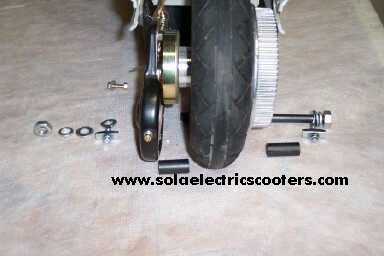 7) When installing the new tube make sure the valve stem is pointing out the sprocket side . It is easy to put in backwards. 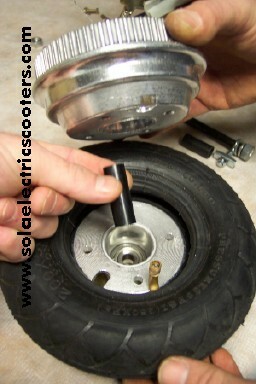 Also make sure the inside bushing is in the center of the axle shaft when you reinstall the axle shaft. 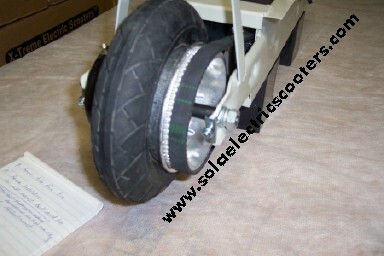 8)Reverse the steps above to reinstall the tire. You will need to tighten and adjust the belt. 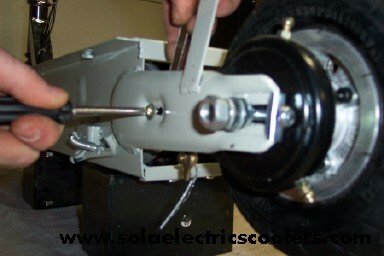 It is also very important you put the bolt back in to hold the brake housing. 9) The picture to the side is a picture of a belt that needs adjusted.